We were bathed in sunshine over the weekend and I took the opportunity to visit Blenheim Palace in Woodstock, a beautiful palace set in many acres of parkland, redesigned by Capability Brown between 1763 - 1774. How did he get the name Capability? Apparently on viewing a prospective client’s estate he would proclaim that ‘this estate has capabilities, my lord’. He was probably the most influential garden designer of the 18th century and some of this has to be because he extended his knowledge to include architecture and engineering, so when he envisaged the picture of the landscape he wanted to create, he could also envisage how it would work. 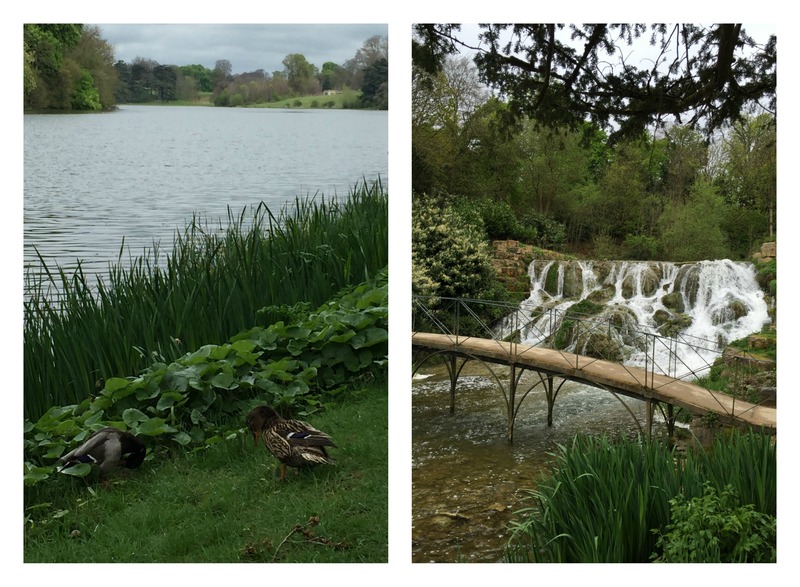 The first photo shows part of the formal water gardens set close to the palace and designed for the 9th Duke of Marlborough by the French landscape architect Achille Duchene. 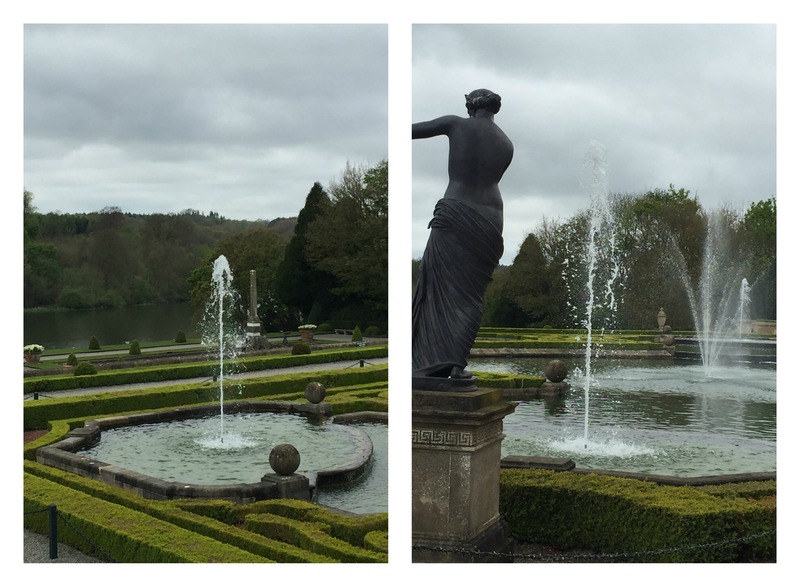 This photo is of the water garden on the lower terrace and shows two huge fountains in the style of Bernini. The formal water features at Blenheim Palace are very impressive and I also love the huge terracotta pots that are filled with Narcissus Double Cheerfulness. Beyond the formality of the water gardens which lie to the west of the palace, you step into a landscape that is quintessentially British. This ‘natural’ landscape was created by Capability Brown and yet it would be difficult for a visitor to know which areas are ‘designed’ and which were always there. At this time of year the bluebells are beckoning and nature is just starting to wake up. 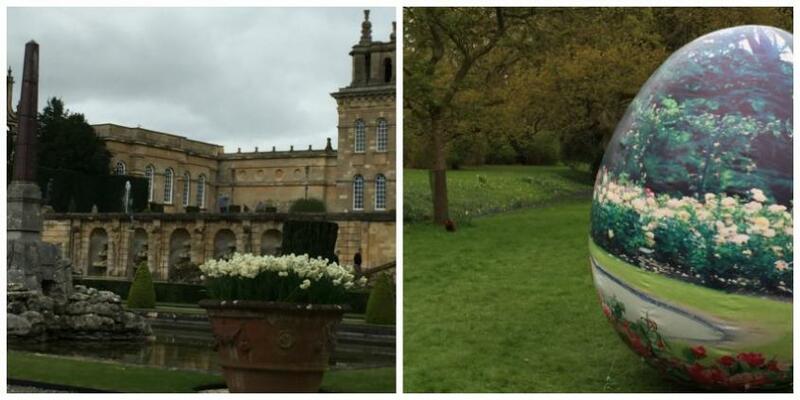 Easter is still being celebrated at the palace with some huge and very intriguing Easter eggs placed strategically in the landscape. 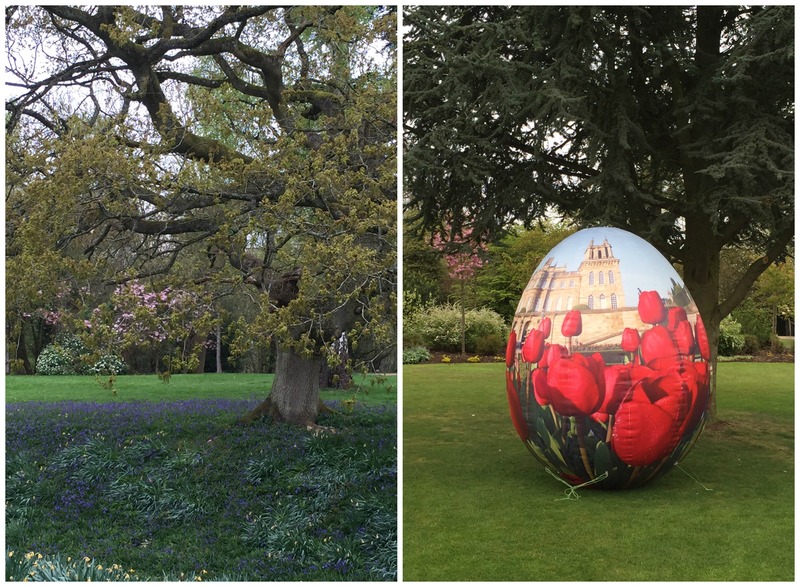 From a distance it looks like the Easter egg is reflecting some flowering borders, but in fact they are blown up balloons decorated with images of the palace amid flowers. Further away still there are many natural lakes and rivers and the real beauty of nature hits you. There are over 2000 acres of Capability Brown’s parkland and according to the website of Blenheim Palace it is home to the oldest woodland in Europe, with ancient oaks dating back to the 12th century! It’s not only people who enjoy the natural beauty of the parkland, these ducks look very happy to be there. The waterfall cascade is a another unexpected pleasure and I include a photo of how the pump house operates, as it is great to see that the palace are using the water to sustainably supply not only the palace itself but all the other buildings on the estate with water. I leave you with photos of the formal water feature on the upper terrace and the view from the west of the palace over the two terraces of water features to the lake beyond. In 2009 Blenheim Palace gardens were voted Garden of the Year by HHA (Historic Houses Association) and with the beauty of both the Italianate water gardens and Lancelot Capability Brown’s natural landscaping I think this award was richly deserved.